Hart Energy’s (Rextag) comprehensive collection of data makes us the leader provider of digital information and tools to the modern energy industry professional. 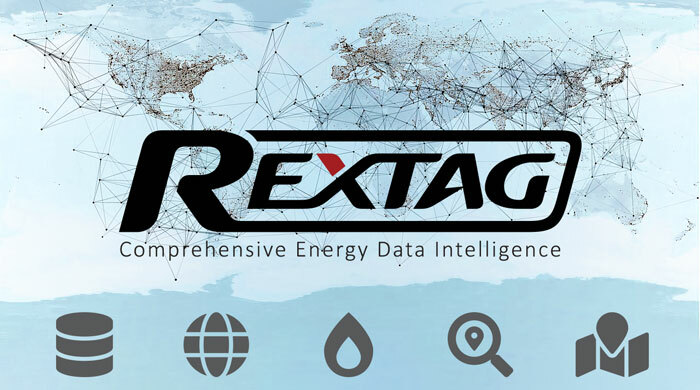 Whether it is by licensing from our extensive GIS Datasets or by purchasing one of our predesigned maps (for sale on our website), Rextag is here to help the energy industry visualize the extraction, transportation and distribution of energy throughout the globe. For many years, offering the most accurate and most complete energy GIS Data for the United States has made Hart Energy’s Rextag the best-known GIS Data provider for the Energy Industry. And for many years, energy industry professionals with expertise in Geographical Information Systems have resorted to utilizing Rextag’s Energy GIS Data because of the quality and quantity of the data included in each dataset. Our licensing approach allows our users to target their specific needs; they can obtain data for the entire globe or focus on specific regions and/or commodities. Furthermore, we provide a geographic breakdown of our North American dataset, dividing it into 3 zones, each of which can be licensed separately, creating a licensing system that is more cost sensible. For more information or to request a live demo of our data, please visit our GIS Data page by clicking here. Our fast-paced digital world requires access and control to a great deal of information; the Rextag Team understands that need for accessibility to obtain and manipulate vast amounts of data. Our solution: the GeoWeb Portal. The GeoWeb Portal allows our clients direct access to create their own maps and to extract information without requiring any experience in mapping or database technologies. But most importantly, Rextag’s GeoWeb Portal gives full access to the most accurate and complete energy GIS data collection available in the industry: Rextag’s GIS Datasets. With the GeoWeb Portal, our users are able to create maps; export them as images to include in crucial presentations; print them and distribute them at important meetings; and even save them for future reference and use. This service has been replaced by DataLink. More information coming soon. At Rextag, we know that today’s energy industry professionals need a constant supply of information. With that in mind, our GIS and data specialists have created the Natural Gas Reports (NGR): an online tool that allows users to query for information on natural gas flow in the United States. The integrated GIS-data based interface allows subscribers to probe daily scheduled gas flows back to the year 2008, aggregated from informational postings for more than 130 interstate pipelines. What’s more, the information can be exported in csv format to be analyzed in any spreadsheet program or database. For detailed information on NGR and how to subscribe to this service, please visit the Natural Gas Reports page by clicking here. Whether they work for the smaller, independent upstream businesses or the world’s largest financial corporations, the energy industry professionals know to turn to Rextag for specialized reports to showcase the particularities of their assets and ventures. At Rextag, we are aware of our clients’ needs for customized information, and whether it is a map or a raw data file, our clients can count on Rextag to deliver the goods: our team of cartographers and data experts will deliver the specifics needed for any project. The vast information in our existing databases can be queried to produce a precise picture of what our clients need. In addition, clients can forward any of their own information—infrastructure, financial, etc.—and Rextag will integrate it with our data to create a unique profile of any company’s endeavors and objectives. Our deliverables come in a wide variety of formats—including Excel spreadsheets, database files, PowerPoint Presentations, image files, PDFs, and printed media of any size—which are intended to satisfy our clients’ needs. Call us today to get an instant quote on your next project at 619-564-7313. The printed medium is still one of the most highly used methods to display to potential clients and colleagues the great scheme of the energy arena, while highlighting the roll any business’ assets play in it. The familiarity of the printed platform counters the mainstream view of our digital age and it allows for “tangibility” when showcasing that power plant a company owns; or when one needs more than an abstract feeling on how far that one well is from a given pipeline. Rextag offers a wide variety of predesigned energy wall maps: each one beautifully rendered in full color and printed on high quality glossy photo paper (we also offer optional lamination). Our team of cartographers has designed sixteen maps of the most commonly requested areas and commodities including the continental United States, the Gulf of Mexico and its surrounding states, and the globe. The information on our predesigned maps ranges from global shale basins, to regional energy infrastructure. For more information and images of our maps for sale, please visit our wall map catalog page by clicking here.